YOU'RE buying a lot more than a power unit when you purchase a Simplicity tractor. The variety of attachments and accessories you see here and on the following pages gives only partial evidence to that statement -- there are too many for us to show in the limited space of this catalog. Suffice it to say that Simplicity offers you an implement for all powered outdoor maintenance . 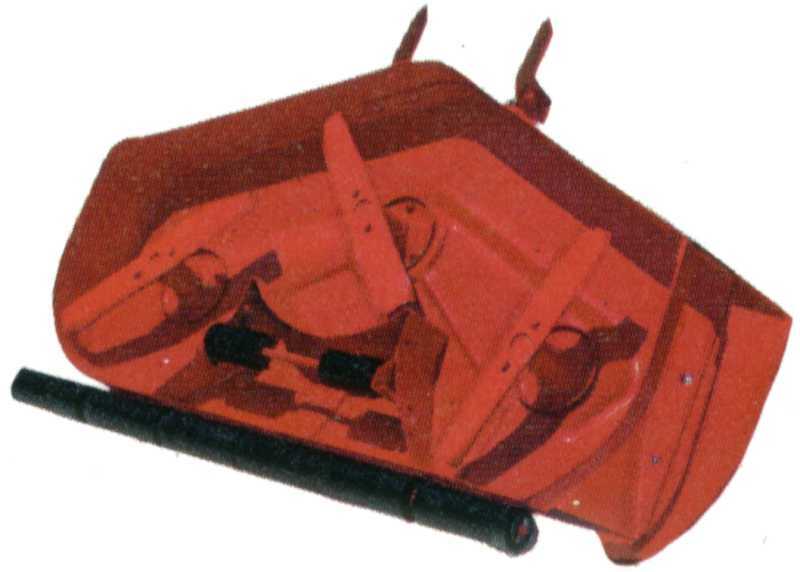 . . and every attachment features Simplicity's quick switching, because we make partners of tractors and attachments. Other brands of lawn and garden power equipment try hard to come close to Simplicity performance, but there's always one hitch that keeps them from matching its quality and convenience -- that's Quick Switching. Simplicity attachments are made by Simplicity. Simplicity tractor features and attachment features work together as partners, because they were engineered for each other. This engineering program of the broadest line of attachments made by a tractor manufacturer makes the Simplicity line unique in the outdoor power equipment field. Add "Hydrolift", the finger-tip hydraulically operating lift mechanism, and any attachment front, center or rear can be handled with the ultimate simplicity. 32" Rotary Tiller (No. 990455) (42" width with extension tines) No crop could resist growing in the kind of seedbed this unit prepares. The gentle, blending action of the strong, non-clogging, self-sharpening tines never pulverize the soil structure. Or, for leveling jobs, works well in combination with 42" grader blade. 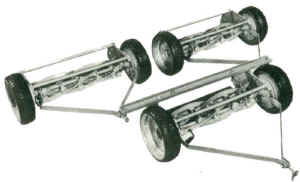 Hydrolift lever (optional) raises tiller when desired. (Recommend No. 223 front counterweight for balance when using hand lift lever.) Tills up to 8" deep. (Tine extensions optional -- No. 409). 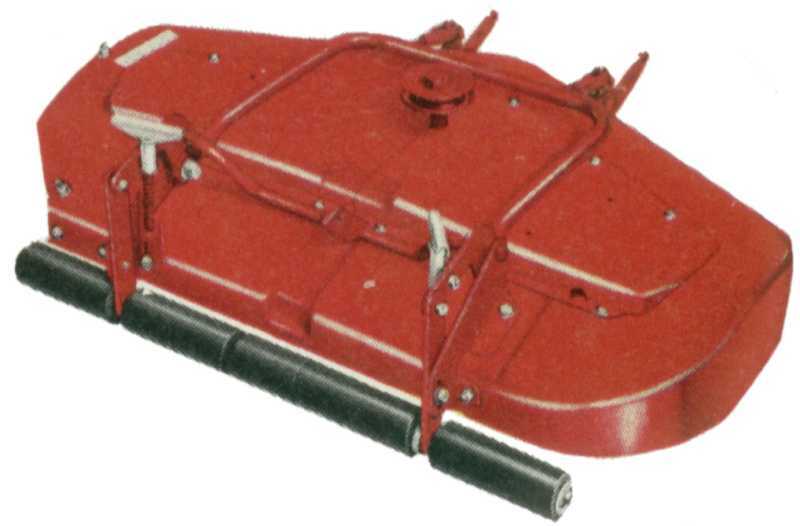 42" Rotary Mower (No. 990407) Trims your lawn at a 2-acre-per-hour clip. Mower is mounted on front axle, so it follows front wheels over contours, never scalping. For safety's sake, blades are located ½" higher than the bottom edge of the mower housing. Attaches to Landlord in minutes without tools. 3-Gang Mower (No. 990273) Three 22" ground driven mowers cut a smooth swath 5' wide, leveling up to 3 acres per hour. Heavy-duty construction takes daily pounding in stride. Flex-tread tires are easy on turf -- erase all evidence of where you've been.